Stewart Creek homes create environments that naturally connect residents to the beauty of their surroundings. 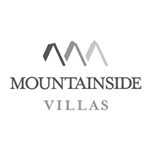 A unique mountain luxury style, brought to you by experienced homebuilders in Canmore, celebrated for their attention to detail. Consistent delivery of quality projects is Devonian’s reputation. Their experienced team remains dedicated to bringing out the best in each project, partner and community they work with. With 50 years of experience, Distinctive Homes is one of Canmore’s true pioneers in luxury homebuilding. Bringing Venezie, Ledges and custom built homes in various styles from Townhomes to Single Family Homes. Legend Developments was founded in 2001 with a mandate to build estate homes of unquestionable quality and value – legendary for their unique and timeless designs, picturesque real estate. With 20 years of experience building in Canmore, we at NuAlpine Homes have earned an award-winning reputation. Creating unique mountain designs and innovative features with natural elements, NuAlpine homes exude warmth, comfort and an easy living style. Crafted from a desire to add substance and innovation to the real estate development industry, QuantumPlace Developments brings a more agile, and perceptive approach. We focus on quality and client services, delivering projects that are socially, environmentally, and economically sustainable. Developing more than simply real estate, QuantumPlace Developments creates strong partnerships and a bona fide approach to the evolution of community building. Discover true luxury at Canmore Renaissance, where contemporary design and stunning architecture are amplified by amazing interior specifications. Located just minutes from downtown Canmore, steps away from the award-winning Stewart Creek golf course, and on the doorstep of the rugged backcountry, Versant is both a luxurious mountain enclave and a thrilling gateway to adventure.